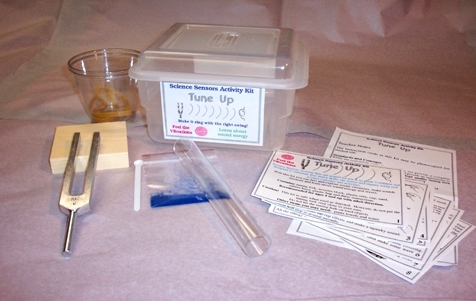 We make Science Sensor Activity Kits for young kids! 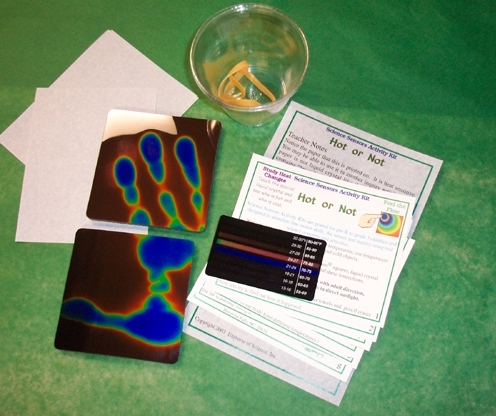 Hands-on materials for pre-K to grade 3 to stimulate fine motor skills, senses and inquiry. The Class Room Size contains 5 times the quantity as the individual size and include laminated instruction cards and pre-K activities. 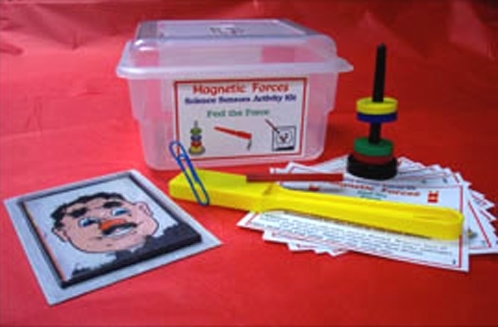 Feel the forces and learn about magnets. Make funny magnetic fields. Contains magnetic wand, 4 ring magnets with stand, magnetic doodle, instructions teacher notes and standards. Make it ring with the right swing. Feel the vibration and learn about sound energy. Contains tuning fork, wood block, plastic tube, sand, cups and instructions. Paint with the special paint and then use sun light to make it change colors. Make Solar Bead Bracelets. Make Solar Designer Art and Solar Photographs. Learn about sunscreens and ultra-violet light (UV). Contains 4 photochromic paints, brush, cups, Sun Beads, pipe cleaner and instructions. Measure temperature with liquid crystals. See who is hot and who's cool! Contains 2 Fickle-Foams, liquid crystal thermometer, cups, rubber bands and instructions. Science is fun and fundamental, but always experiment carefully! Copyright © , 2007-2016 Universe of Science, Inc.